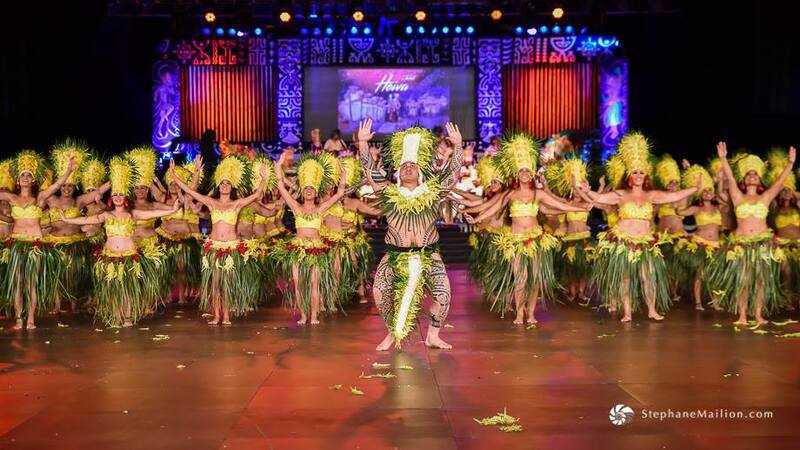 The second week of the Heiva i Tahiti 2016 was the most spectacular yet with jugernaut Hura Tau groups Hei Tahiti, Temaeva and Hitireva going head to head as well as seriously high soloist performances and newcomers Tahiti ia Ruru-tu noa bringing their best to the stage. 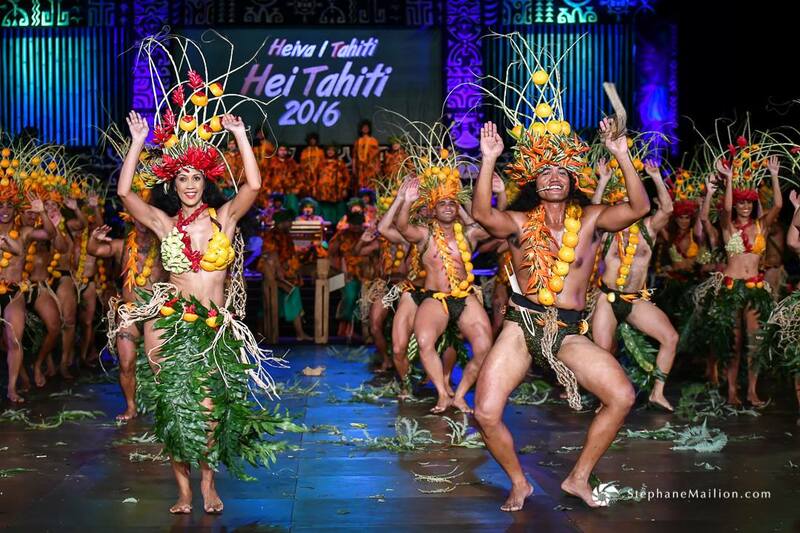 Tahiti Dance Online looks back at last week’s highlights. 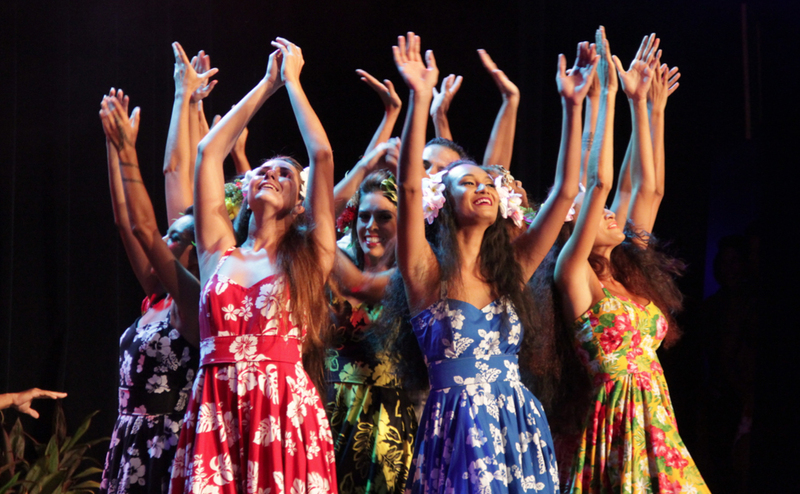 Opening the Heiva this week was Tiare Trompette’s groundbreaking ‘Ori Tahiti group Hei Tahiti. 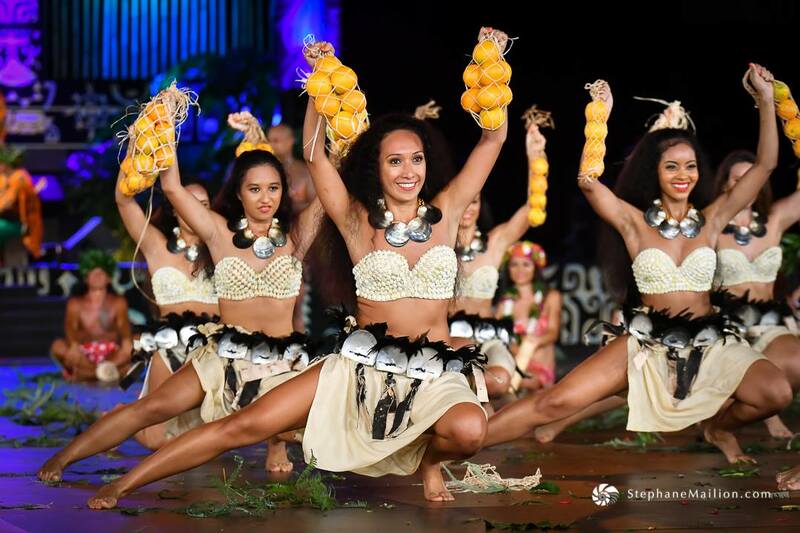 Their theme this year entitled ‘At the heart of our lands’ saw the group pay homage to the annual orange picking festival held in Tamanu in the district of Punaauia. The theme was simple but innovative in its execution that involved many elements that have never been seen at the Heiva before. For example, the groups’ 200 strong completely deconstructed the traditional Heiva dance sequence by creating their own order. 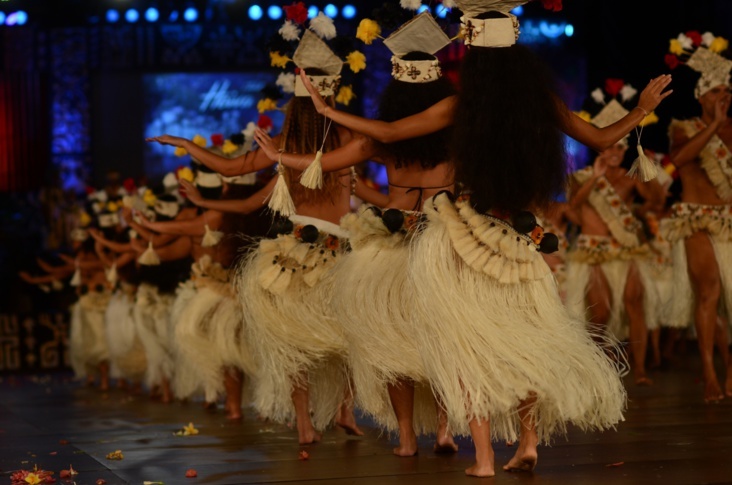 Usually, the dance sequences are set with an opening, a middle typically set aside for ‘Ote’a Tane and Vahine’ and an ending with traditional costumes varying from 6 to 7 dances total, but in their performance there was about 20 dances cut into smaller sections, all with their own costumes, including the women dressed head to toe in ferns to represent the mountain, and the men in revealing orange slips representing the orange pickers. We also found their signature group movement choreography to be an overwhelming blast of creativity with stunning visuals. One to watch for the podium. 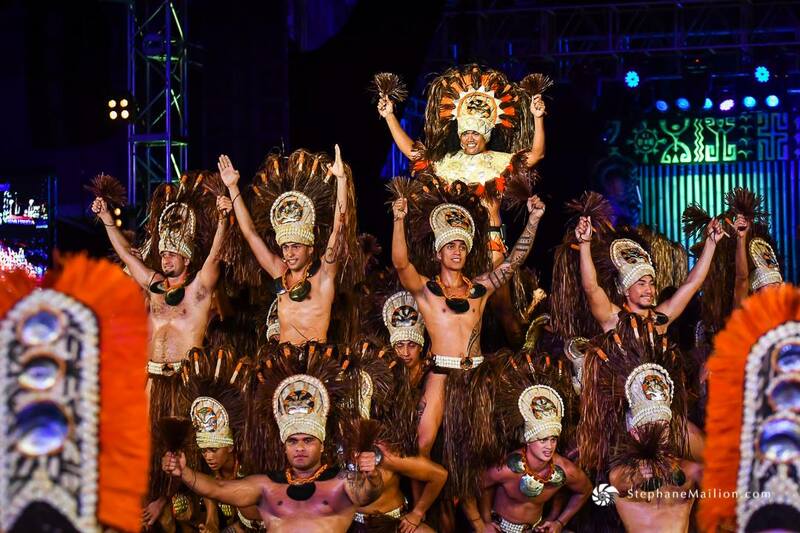 Coco Hotahota and his ‘Ori Tahiti dance group Temaeva, the oldest Heiva participants still in action since 1962 and grand prize winners in the Hura Tau category in 2015, took to the stage to present their latest show based on traditional Tahitian feasts and illustrating their accompanying songs and dances. 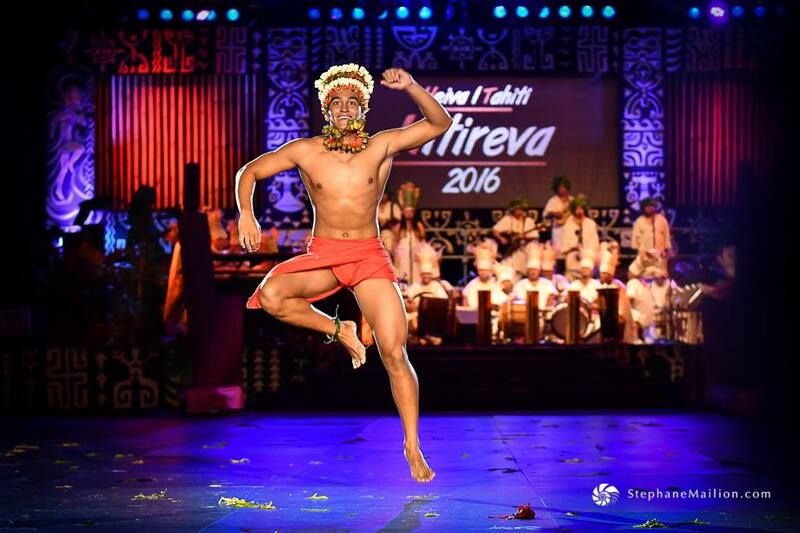 Known for their stern traditional style, Temaeva set out to preserve a certain purity of dance last seen in the early 60’s by using previous Temaeva songs and adapting them to this year’s context. The group also wanted to highlight the absurdity of the ‘size 42’ controversy, where ‘Ori Tahiti groups picked and chose dancers based on waist size, by featuring 3 large dancers alone on stage in the spotlight. A bold move that made an impact during their performance. 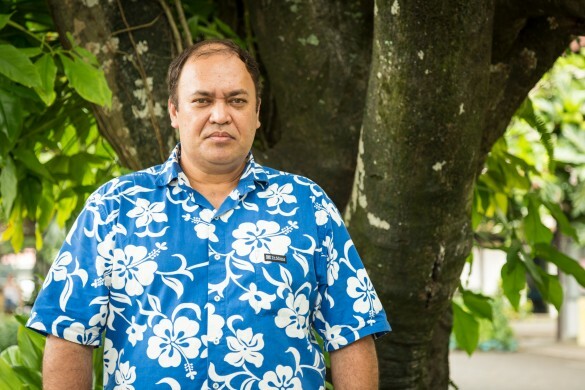 Coco also stressed the importance of cultural retention by reiterating that ‘Ori Tahiti should be danced by everybody and that he owes it to our culture to participate at the Heiva year after year. 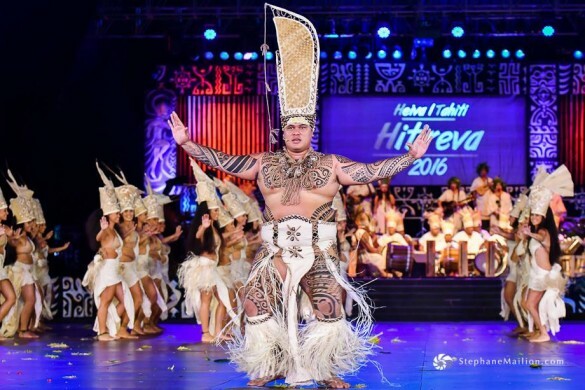 One group that made a major impact this year is Hura Ava Tau candidates Tahiti ia Ruru-tu noa established by emblematic ‘Ori Tahiti figure Olivier Lenoir. 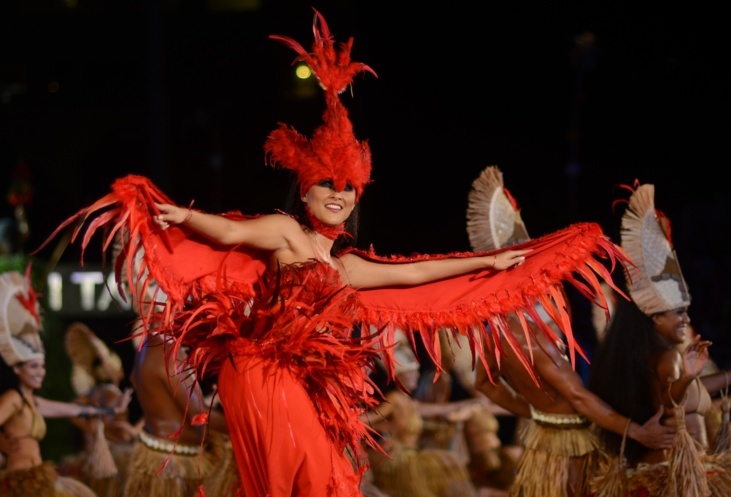 Their theme revolved around the legend of ‘Hiro and Tanemanu’, a story about Hiro the Polynesian demi god and Tanemanu (interpreted by Asia Hammil best solo female dancer 2014) the sacred bird of Tane, god of the forest. As Hiro and his bothers set sail they were informed not to bother the birds flying by the canoe, when Hiro went to nap, his brothers did not listen and killed Tane Manu which angered Tane and brought about his wrath which subsequently led to the drowning of Hiro’s brothers. This was a tale about careless boisterousness, revenge and heartache that was beautifully executed by Olivier’s group. 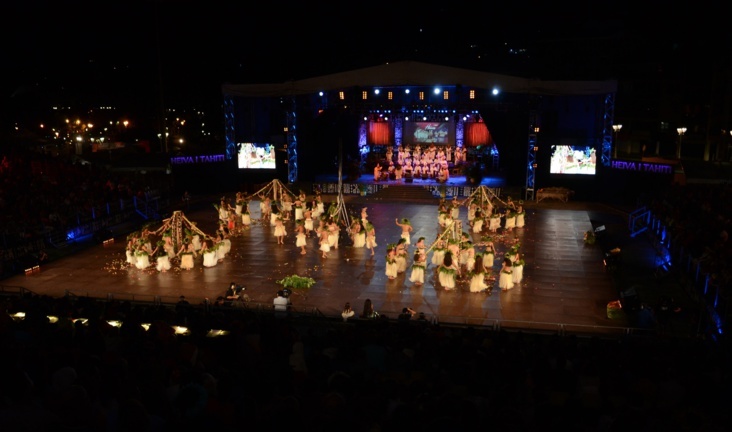 The groups’ name references not only Oliviers natal island Rurutu but literally means ‘Tahiti stand up!’ to remind all Tahitians to be proud of where they come from. So far, other than ‘Hei Rurutu’ there has been no performance to match. 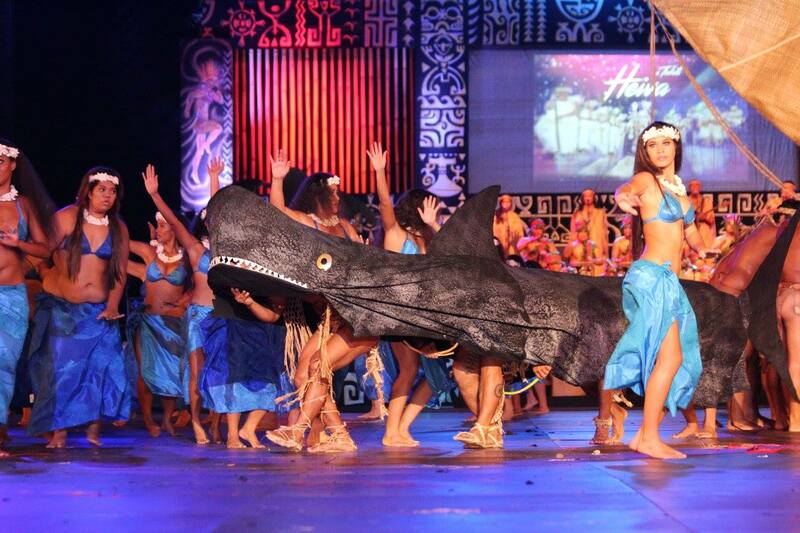 Perhaps the most remarkable performance this week came from Hura Tau candidates Hitireva. Their theme this year ‘A tifai to’u hiro’a literally meaning ‘I weave my culture’ was all about fabric, its provenance and impact on native culture. The deeper message hinged on the very meaning of the ‘action of weaving’, taking individual strands and binding them together, as we bind ourselves to our culture which gives us support and meaning in life. From the opening number in intricate handmade leaf outfits of green, white and yellow to tall carved canoe fronts and missionary outfits complete with colonial wigs, they literally pulled out all the stops with beautiful oratory, stunning costumes, bold choreography and impactful music performed to a full house. 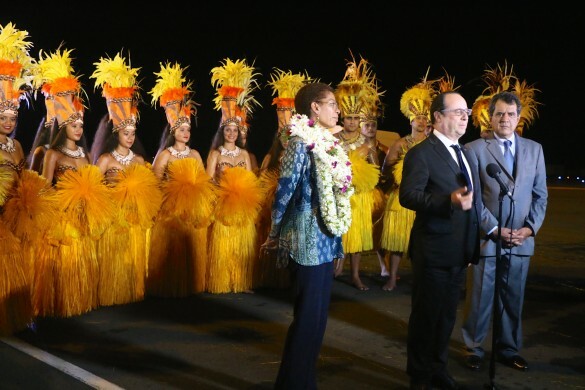 Everybody in Tahiti is smitten. 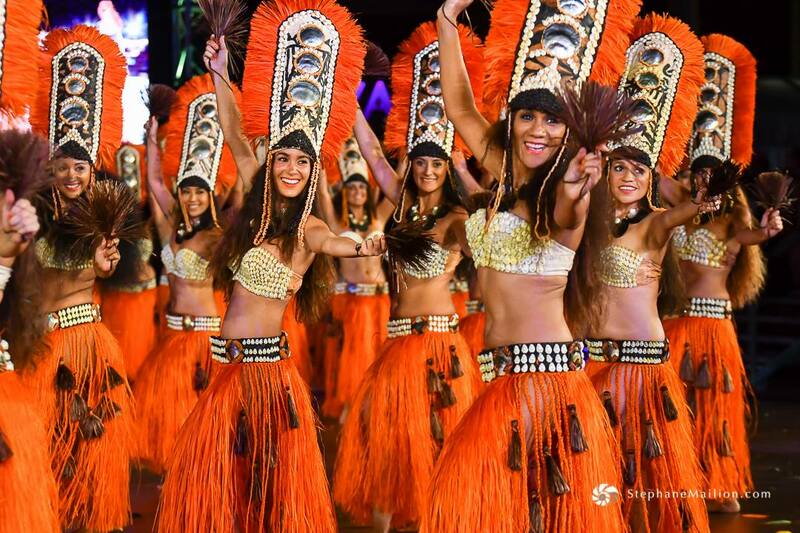 This week also highlighted the dancing prowess of solo dancers from various groups vying for the coveted best dancer in Tahiti title. 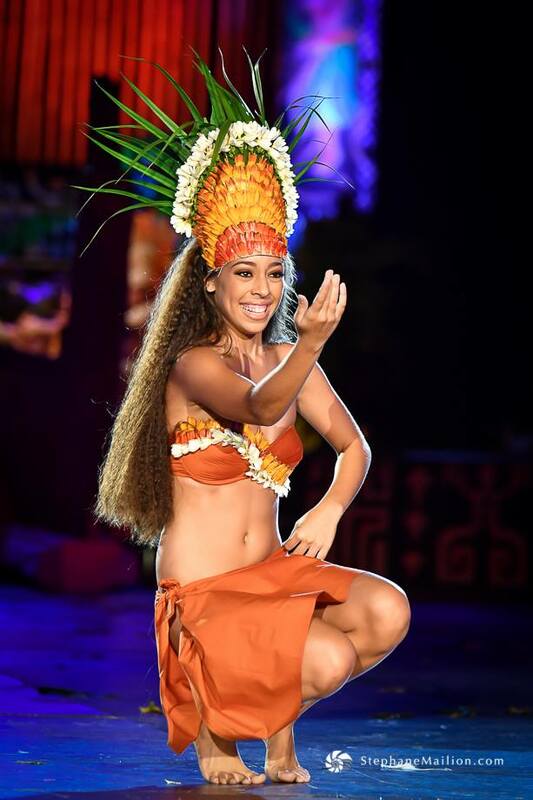 Notably, performances from Toimata Holman-Mervin from Hei Tahiti, Ocean Erhardt from Tamari’i Mataiea, Tuiana Brodien from Tamari’i Vaira’o for best female solo and Moana Sandford from Tahiti is Ruru-tu noa and Tehere Tetuaiteroi from Hitireva (in photo order below) for best male solo are definitely worth a second look. As the final week of competition draws near tickets become more and more scarce to come by. 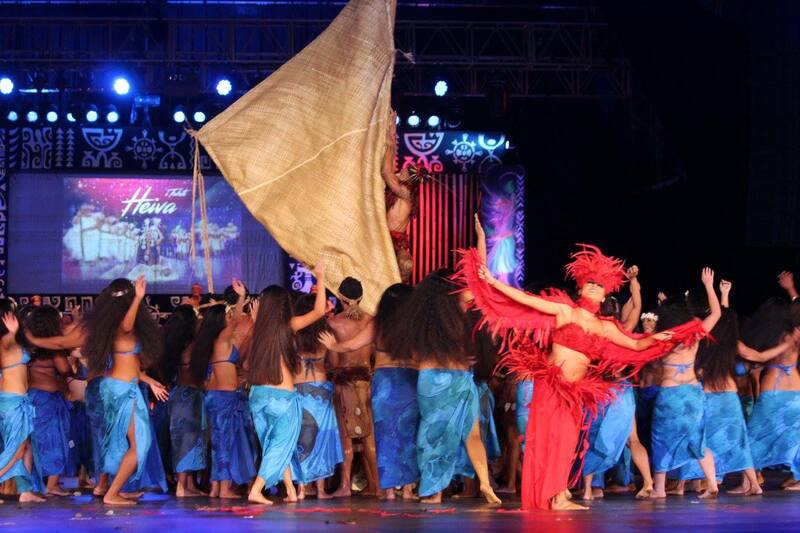 We look forward to seeing performances from Coco Tirao’s ‘Ori Tahiti group Ahutoru Nui in the Hura Tau section but also welcome the neighbouring islands Raiatea with their group Tahina no Uturoa who are competing in the Hura Tau division for the first time and the return of Bora Bora with Pupu Tamari’i Anau who are well-known for their awesome dancing capabilities. 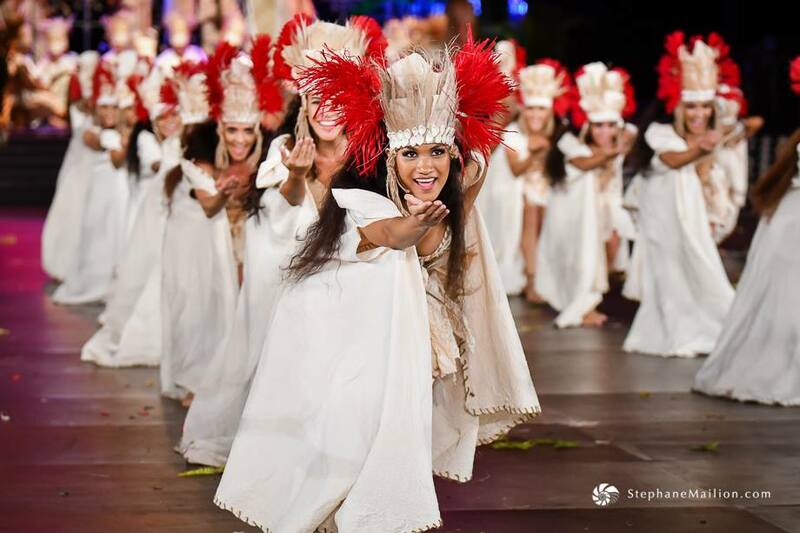 An exciting time for Tahitian culture! 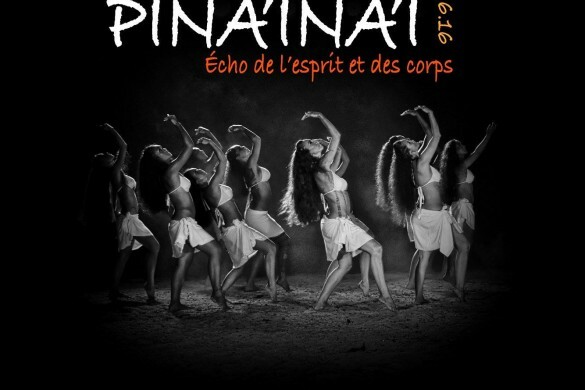 Ori Tahiti Competition starting now !